This is the Chief Rabbi’s thesis on the future of British society and the dangers facing liberal democracy. A counterweight to his earlier book, “The Dignity of Difference”, Sacks makes the case for ‘integrated diversity’ within a framework of shared political values.’Multiculturalism has run its course, and it is time to move on’. So begins Jonathan Sacks’ new book on the future of British society and the dangers facing liberal democracy.Arguing that global communications have fragmented national cultures and that multiculturalism, intended to reduce social frictions, is today reinforcing them, Sacks argues for a new approach to national identity.Offering a new paradigm to replace previous models of assimilation on the one hand, multiculturalism on the other, he argues that we should see society as ‘the home we build together’, bringing the distinctive gifts of different groups to the common good. 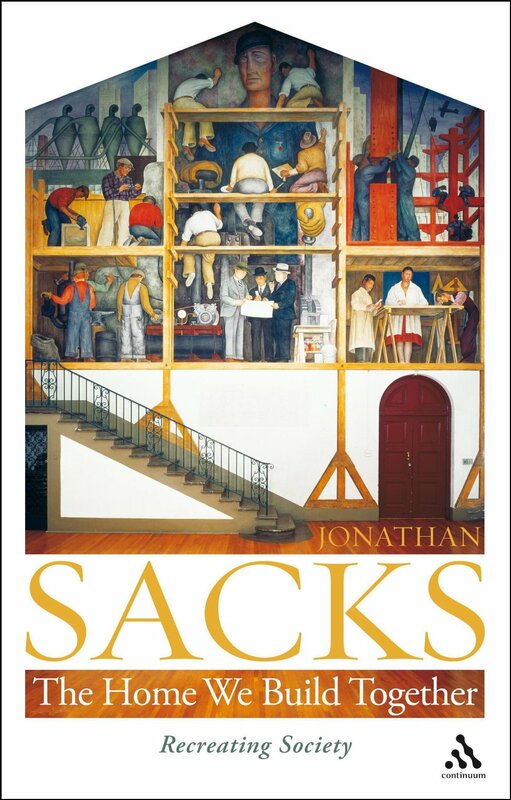 Sacks warns of the hazards free and open societies face in the twenty-first century, and offers an unusual religious defence of liberal democracy and the nation state.